Hurrah! Having finally finished my first new painting for the Femme Fatale exhibition (photos to follow soon) I moved swiftly on to the next one and made this rather charming sketch (if I do say so myself) based on a photo of the beautiful Dita Von Teese that I found when doing my original femme fatale inspiration search. My next painting will be based on this sketch in some way, although we’ll see whether I stick to the pretty pink colour palette or not. Generally I tend to go towards the dark side in my paintings with lots of red and black. Not that I’ve got anything against lighter colours, it just happens to go that way more often than not. Whether this reveals more about my unsophisticated colour palette or my personality, I wouldn’t like to say. But anyhow, I’m very excited about making a start on this one. You’d think I was on commission for the Procreate app for ipad, but it just happens to be one of my favourite things at the moment. Having a digital sketch book that I can create work with on the go without the fuss of carrying around pencil and chalk etc. is very handy. For example, I made this on a lazy Sunday afternoon sitting on the sofa, when it just seemed too grey and cold and miserable to venture into the spare room to get out the art supplies. And it really does replicate a range of pens, pencils, brushes and whatever else you could possibly need. 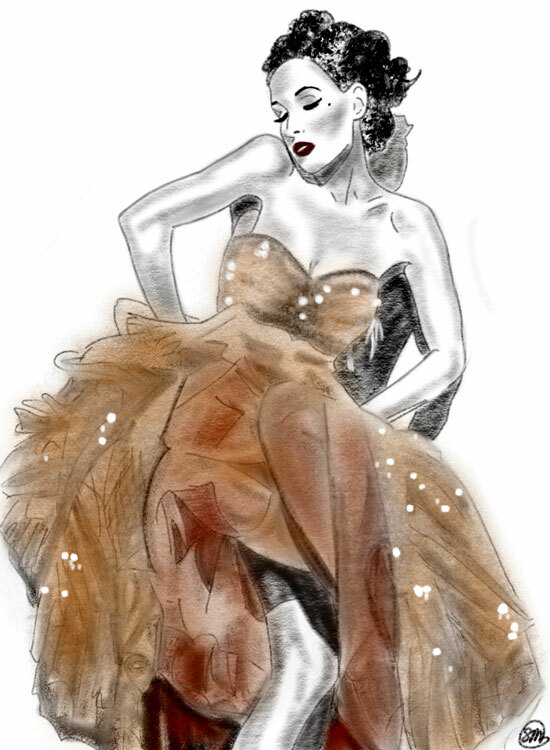 All you’ve got to do is get the hang of sketching with your finger and off you go!